Ohio Lawmakers considering new towing legislation Tuesday viewed an exclusive 5 On Your Side investigation that uncovered questionable tactics used by some Ohio tow companies. 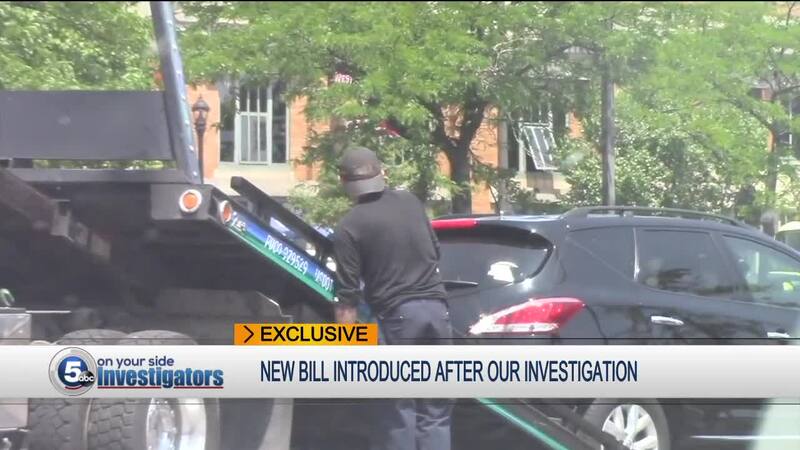 COLUMBUS — Ohio Lawmakers considering new towing legislation Tuesday viewed an exclusive 5 On Your Side investigation that uncovered questionable tactics used by some Ohio tow companies. Ohio House Bill-113 would outlaw the use of what’s called “spotters”—individuals relied on by tow companies to secretly hide near parking areas and call in tows within seconds of exiting a vehicle. 5 On Your Side Chief Investigator Ron Regan was invited to speak before the House Committee on Transportation and Public Safety that is currently considering the legislation. 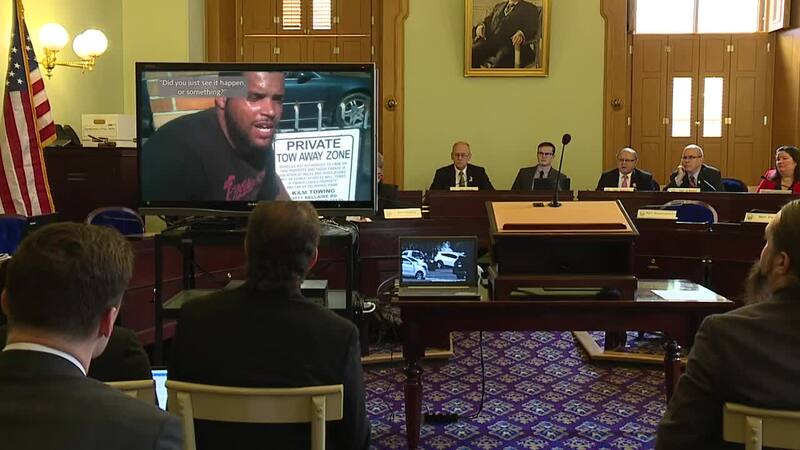 “Our mission is to respond to viewers concerns, investigate on their behalf and create opportunity for positive change in communities across Northeast Ohio,” Regan said as part of his testimony. Patton also stressed the proposed legislation would “protect citizens from excessive towing and prevent towing companies from financially benefitting from the use of spotters."